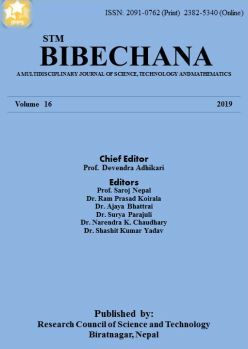 BIBECHANA: A multidisciplinary journal of Science, Technology and Mathematics is published by Birat Campus, Biratnagar, Nepal. Full text articles available. BIBECHANA does not charge authors article processing charges, submission fees, or any other kind of fee.